Biotechnology engineering deals with the technological use of biological systems for the benefit of humans in the fields of food, medicine, agriculture and energy. The food industry is also developing into biotech, combining biotechnological and biochemical mechanisms with advanced technology in all its stages from raw material to final product on the shelf: developing special food for babies and celiac patients, food containing health supplements that also extend shelf life, Sensors on food quality and more. 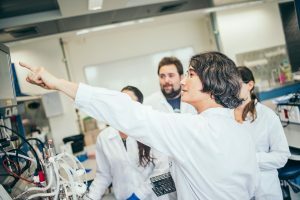 The Faculty of Biotechnology and Food Engineering offers a unique curriculum that grants a combined BSc degree: a biotechnology engineering degree and food engineering degree. 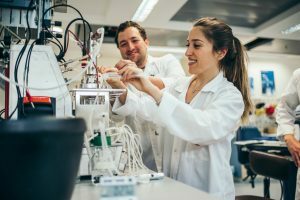 Studies in Biotechnology and Food Engineering are intended for students who seek an engineering-technological education combined with areas of the life sciences such as biology and food sciences. The four-year program combines technological and engineering areas with natural and life sciences, while integrating practical laboratory work, excursions to plants and seminar lectures given by visiting expert lecturers. Life Sciences and Biotechnology: microbiology, biology, biochemistry, biotechnology, biotechnology engineering, molecular biotechnology (genetic engineering). Engineering: principles of biotechnology and food engineering, structure and properties of food and biological materials, thermodynamics, food plant standards, packaging, and nanotechnologies in biotechnology and food. Food science: food chemistry, food analysis, nutrition, toxicology. The first three semesters are devoted primarily to required fundamental courses, which include basic science such as mathematics, physics, chemistry, biology, and computers. In addition, the students study core engineering subjects in a variety of fields including molecular biotechnology, biochemistry, and enzymology, food technology, microbiology, etc. Biotechnology: this track offers advanced courses in molecular biotechnology (genetic engineering), microbiology, fermentation processes, separation and recovery processes, molecular biology, immunology, etc. Food engineering: the students gain expertise in this track in aspects relating to food engineering and technology, packaging, plant design, control processes, functional food, economics, marketing and management, quality control. In addition to theoretical studies, the students gain practical laboratory experience in a wide variety of laboratories and have the option of completing an experimental final project that implements the knowledge acquired in the different subjects. At the end of their studies, our graduates receive a combined BSc degree in Biotechnology and Food Engineering. In addition, the Faculty of Biotechnology and Food Engineering offers several study tracks for master’s and doctoral degrees.